The lyrics of the Institution anthem not only express the school's values, they are words every Rafflesian would have sung and experienced as part of their school life since 1961. 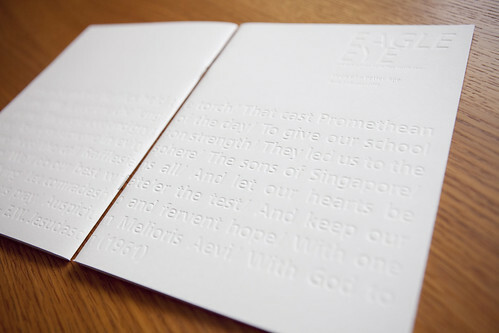 Hence the anthem is embossed on the cover and, quite literally, carved into every student's memory. The impression of the lyrics extends to the reverse of the cover, which is made up of a montage of 650 photographs of the school's student life today.